Enjoy the best fun and adventure Maui has to offer. 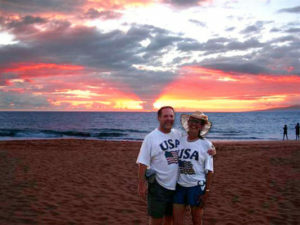 We have carefully “hand picked” the following Maui activities to make your visit one you’ll never forget. Maui Downhill offers 3 different guided bicycle safaris to choose from: Super Sunrise Bicycle Safari, Super Day Bicycle Safari, and Summit to Kula Bicycle Safari. Each safari offers a unique itinerary and is sure to be the highlight of your trip to Maui. All of tours are guided by professional staff and experienced cruise leaders. Three championship courses, The Bay, The Village and The Plantation, set amidst Maui’s magnificent landscape make Kapalua the #1 golf resort in Hawaii. The Mercedes Championships PGA TOUR event is held every January on Kapalua’s Plantation Course. When you choose a helicopter tour company, it’s not like choosing any other activity on your vacation. You only want the best. That’s what Blue Hawaiian is all about, with a dedication to the comfort and safety of its passengers that is the benchmark of the industry. Emphasizing the teaching of natural history, Hike Maui has been offering spectacular hiking tours into Maui’s wilderness since 1983. Great waterfalls, big, clear swimming pools, terrific bamboo and tropical rainforests, fresh-water streams. Everyone likes to shower under a Hawaiian waterfall. Whale watch with the experts – Pioneers in whale research and the first to offer educational whale watches on Maui, Pacific Whale Foundation is proud to offer Maui’s #1 whale watch. These top-rated cruises take place from December 1 through May 15 and are based on our 23 years of work in saving whales from extinction. Spend a full day viewing magnificent waterfalls, lush rain forests, Maui’s last lava flows, the rugged eastern coastline, and the arid southern coast. Weather permitting, Valley Isle Excursions Hana tour circles the base of Haleakala (Maui’s sleeping volcano) on dirt roads without bridges. Experience an unforgettable journey through Maui’s most spectacular views on Horseback! Journey through rolling pastures into the lush rain forest and gaze down into Eki Crater to view some of Maui’s largest waterfalls and Hawaiian taro patches. Ride along Waihe’e Valley through the crystal blue waters of the Pacific Ocean with the Majestic seascape as a background. www.mendesranch.com.